The 4 in 1 Solar Powered DIY Robot Kit is designed to allow children to use their imagination to assemble the parts into different creative combinations. This kit develops a love for engineering, science, and technology in the most fun and enjoyable way. Your kids will love to learn! 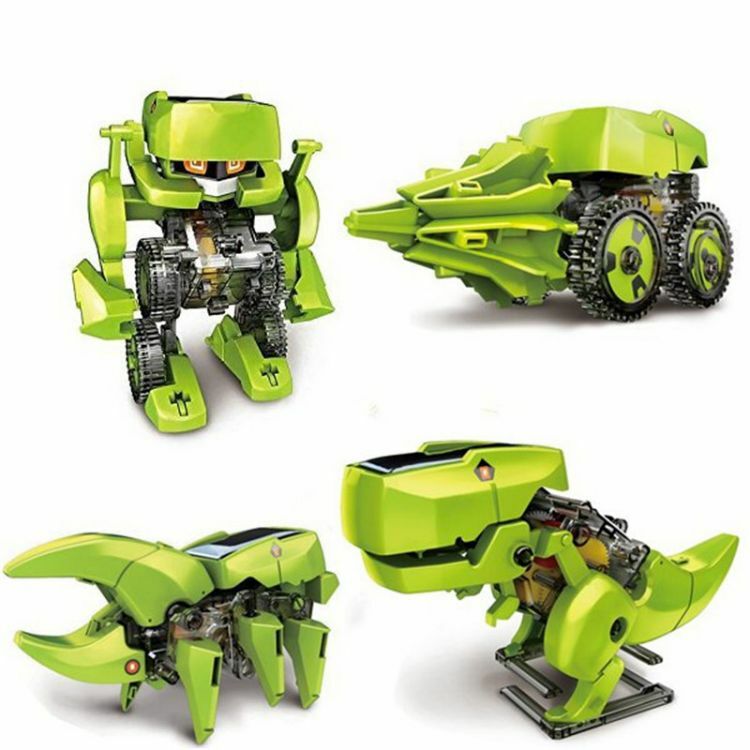 This fantastic kit includes four combinations: T-Rex, Robot, Drilling Machine, and Insect. Each combination is a unique DIY project driven by a small solar panel. NO BATTERIES REQUIRED… yay!